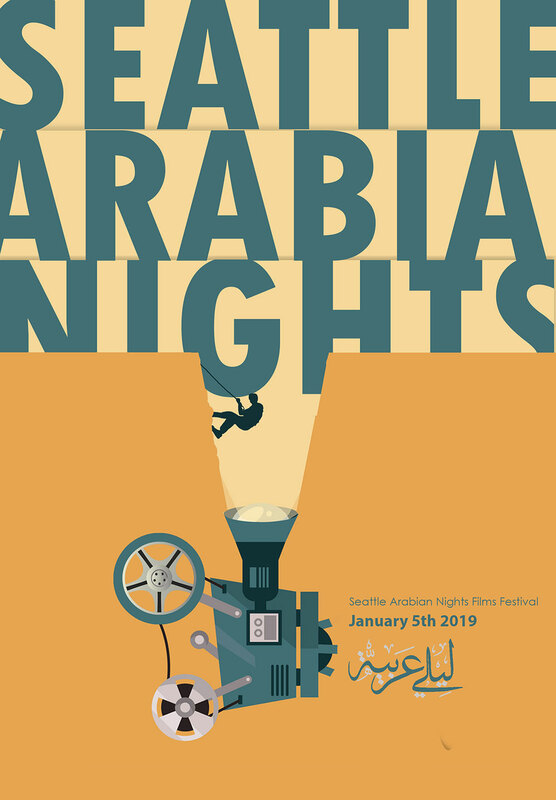 Seattle Arabian Nights Festival seeks out and presents contemporary short films from all over the globe that provide insight into the artistic spirit, complexity, and diversity of the Arab world. Their goal is to empower new Arab storytelling talents by creating a unique ecosystem that connects and supports Arab film and media projects. Discover cinema’s next great genius at Seattle Arabian Nights! Depending on one’s perspective, human beings may seem to live selfishly or selflessly. The hero of this film struggles mightily and fails to reach a goal – but ultimately wins. A short story about religious devotion and career goals. Forced to leave her home, Amal tells her story through dance. Portraying her experiences through motion, her only amal (“hope” in Arabic) is that someone in the audience will be able to see her pain. Trapped in the same place, at the same time, in the same loop. Don’t know why, don’t know what to do… maybe need a hand, or maybe… it’s just karma. A group of Arabic-speaking asylum seekers arrive at an English-speaking border crossing and can’t keep going. Their friction with the border patrol becomes a daily norm, until a deaf-mute baby catalyzes better communication between the two groups. A man on the beach observes the contradictions of humankind. The White Ogre attacks the city and kidnaps the king. Rostam, the hero of this Persian myth, is sent to find and return him. A soldier helps a woman find her son in the war-torn city of Mosul and take him back from ISIS. The woman finds her son’s last whereabouts, but discovers another child in his place; will the soldier be able to help her find her son? Sally, a young woman in her early twenties, is part of the Production team on a shoot. With an important competition, a deadline looming over her head, and the added responsibility of completing a friend’s workload, she struggles and can find only Ghazi the truck driver to help her. During the war, a child tries to find a way to help his mother. He meets a girl who offers him help, but not without making many demands of her own. A 10-year-old boy living in the slums is called Sheffa (meaning Lip), for the scar he bears. His mother scolds Sheffa and uses him and his friends to sell weed on the streets. Her ambitions are threatened when Sheffa gets her period – the son she’s raised is becoming a woman. Set against the backdrop of ISIS’s imposition of the “jizya” or tax on non-Muslims in its territories, a Christian family devises a plan to protect its only daughter. However, their “perfect” solution might end up having more tragic consequences than intended. Houses have memories too. They hide them under their windowsills, tuck them beneath layers of paint and sometimes whisper them to birds passing by. I wonder whose memories these houses will keep. I live here, but I am unable to leave a trace. I try to attach myself to the walls, dirty them, mark them… but I fail. They are constantly cleaned, watched, and protected. I caress them instead. And I film them, lest I forget. Home is where the heart is, they say. I disagree. My heart is everywhere. It left with the music. Like a turtle, I am always home.